According to a report from Spanish media outlet, AS, Real Madrid are eyeing a move for Inter Milan outcast, Mauro Icardi, for a relatively cheaper price amid huge interest from Serie A giants Juventus and Napoli. With 15 goals in all competitions for this season, Icardi remains one of the most prolific sharpshooters in the Serie A. Known for his eye for goal, the 26-year-old Argentine has scored 9 goals in the Serie A while four of them came in just 6 Champions League appearances. Despite his efficiency, Inter failed to qualify from the group stages of Champions League and the situation between Icardi and Inter deteriorated due to player's demeanor going against the club management. Icardi was the captain of Inter team and was Nerazzurri's talisman up front due to his caliber. After criticisms towards the club from Icardi's wife and agent, Wanda Nara, the player was stripped of the captain's role in February. Since then, Icardi has not featured in a single game for Inter. Meanwhile, Inter has crashed out of Europa League and remain third in the Serie A table in his absence. It is no secret that Inter Milan striker remains a wanted man and Real Madrid are keen to secure his services for the upcoming season. According to the report, Los Blancos are desperately looking for a striker and Icardi fits their bill of a number 9. Madrid will look to take advantage of the dispute between the club and the player to persuade the player away from Italy. The asking price for Icardi is €80 million but can increase with interest from Juventus and Napoli, who are also desperate to boost their squad in the summer window. 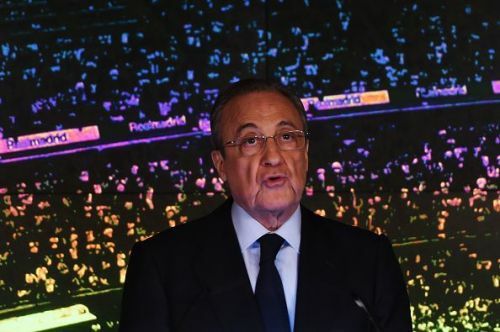 Real Madrid president, Florentino Perez, is desperate to revamp the squad with some new signings. Their wish list includes the likes of Harry Kane but Icardi remains the significantly cheaper option among the two and it is likely that Los Blancos will make a move for the talented outcast. Inter Milan will face Lazio while Real Madrid host Huesca in their respective leagues after the International break.